When our loved ones have reached a point in their lives when they can no longer care for themselves, and home care is not an option, nursing homes are intended to be a place of respite for the elderly. Nursing homes are supposed to be staffed with well-trained medical personnel, including nurses and nursing assistants, available around the clock to help residents live out and enjoy the twilight of their lives as best they can. Sometimes, though, the reality is that caretakers fail to perform their duties, leaving elderly residents to pass away prematurely, shattering lives and depriving families of the wisdom of an older generation. Malnutrition. When staff fails to monitor food intake to be sure that residents are eating enough, if the facility doesn’t provide enough food, or if the right kinds of food to match the nutritional needs of residents aren’t being provided, malnutrition and starvation becomes a serious issue. Dehydration. As we grow older, not only does appetite fade, but the sensation of thirst does, too. That’s why it’s important for nursing homes to make sure that residents are taking in enough fluids. Providing a regular supply of liquids both during and between meals is important at all ages, but dehydration through neglect can be fatal to the elderly. Elopement. Elopement is when a resident with cognitive issues (such as Alzheimer’s disease or dementia) strays from the facility. It’s important that staff know where residents are located at all times, and take appropriate precautions for those who can get lost or hurt on busy streets or by exposure to the elements. Medication errors. Medication management is an important part of life in a nursing home. Failure to dispense medication in a timely manner, or failure to dispense the correct medication, can lead to disaster. Physical neglect. If personnel aren’t checking on residents regularly to ensure that the bedridden are shifted to prevent bedsores, small cuts or wounds are treated, minor illnesses are cared for, and other physical needs are met, minor health problems can quickly become a crisis for the elderly. Any or all of these or other issues, alone or in combination, could result in the unexpected loss of a loved one. If you suspect that the nursing home is responsible for the unexpected death of your family member, it may be time to seek justice with a wrongful death lawsuit. Duty of care. Did the party or parties named in the lawsuit have a responsibility to care for the injured person? Nursing home personnel typically have a duty of care to all of their residents. Breach of duty. Once a duty of care has been demonstrated, in what way was that duty not fulfilled? Causation. After it’s been determined that a breach of duty has occurred, how did that breach of duty directly lead to the death of the victim? Damages. The final step is to show that some form of damages happened that can be compensated for. Examples of the damages that may be claimed in a wrongful death suit include pain and suffering of the victim before death, medical expenses for emergency treatment, funerary costs, the loss of income, guidance, or companionship to the family, and more. South Carolina law dictates that the personal representative or executor of the deceased person’s estate must be the one to file a wrongful death lawsuit, though the suit is made on the behalf of surviving spouses, children, or other immediate family following state law. If there is no estate or personal representative, then one may be appointed by the court. 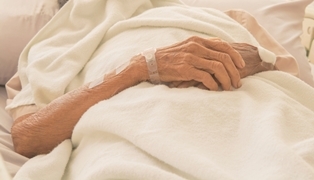 If you believe that your loved one suffered from wrongful death in a nursing home facility, it’s important to contact an attorney right away so that those responsible can be brought to account. The Law Office of Kenneth E. Berger can not only help you seek the compensation that you may be owed, but also help guide and counsel you through a difficult time. Please, reach out to us today by phone or email. Our office is centrally located in Columbia, and we proudly serve clients from across the entire state, including the Sumter, Florence, and Myrtle Beach areas. Posted on 05/24/2018 Who is Responsible for Injuries in a Nursing Home’s Hospice Care?